One of the ocean’s most fascinating creatures, octopuses have continually amazed scientists around the world due to their many spectacular features and talents. They’re unlike any other creature you’ll find in the ocean, due to their eight arms, three hearts, blue blood, and boneless (invertebrate) bodies. There’s no denying that octopuses are particularly clever creatures either – in fact, they’re considered to be among the most intelligent creatures on the whole of Planet Earth. But, we bet you didn’t know quite how clever they really are! Find out five of the most incredible things these creatures can do. Some may sound unbelievable but they’re all completely true! The animal world is abundant with amazing creatures that have the ability to camouflage, whether as a way to hide from predators and prey, or to warn them. Chameleons are probably the most well-known of camouflage species, but plenty of sea creatures harbour this incredible skill too, including octopus species. Octopuses use camouflage in a number of different ways. Some species are able to change their body shape to mimic other animals. Their lack of bones makes it much easier for octopuses to twist and curl their bodies into other shapes. Many species have special pigments in their bodies, called biochromes. These pigments absorb certain wavelengths of light and reflect others, giving octopuses the opportunity to change the colour, pattern, and opacity of their skin. This explains the numerous coloured bodies of octopuses you can see around the world. The ocean is alive with creatures swimming through its waters. Something we bet you weren’t expecting to ever see, though, is a sea creature walking through water. Octopuses are really strong swimmers and can get about quickly, but some species have been found to ‘walk’ along the seabed instead. Although octopuses need water to breathe, they can survive on land for a few minutes. In fact, there have been several incidences where octopuses have been spotted on dry land ‘walking’ too. They aren’t as graceful on land as they are in water, of course, thanks to their bulbous heads, but an octopus wandering across land is definitely an unusual sight to watch! Octopuses are right up there on the podium of most intelligent non-primates – among elephants, dolphins, and pigs – having proved time and time again their knack for being extremely quick learners. The chances are, an octopus probably has a better short- and long-term memory than you! Many researchers have discovered that some species have the ability to solve puzzles or problems, such as unscrewing a lid on a jar, using tools in the ocean (like rocks and coconut shells) to assemble a shelter, learning how to squeeze through tiny openings, and playing with bottles or toys. As well as their fascinating ability to change colour or pattern, octopuses have a number of other clever tricks for escaping predators and catching prey! Just like many other Cephalopods (such as squid), octopuses can produce ink as part of a protective mechanism. They’ll squirt a dark black-ish coloured ink at predators in order to confuse them, allowing the octopus to escape to safety. This ink has many special properties too! There’s a compound called tyrosinase in the ink, which causes an itchy irritation and temporary blindness when sprayed in a predator’s eyes. As well as blocking off a predator’s sight, the ink also dampens a predator’s sense of smell – cutting off these two important senses is a nifty trick that makes it far easier for an octopus to escape. As if their ink wasn’t deadly enough, some octopus species have venom stored in their saliva! 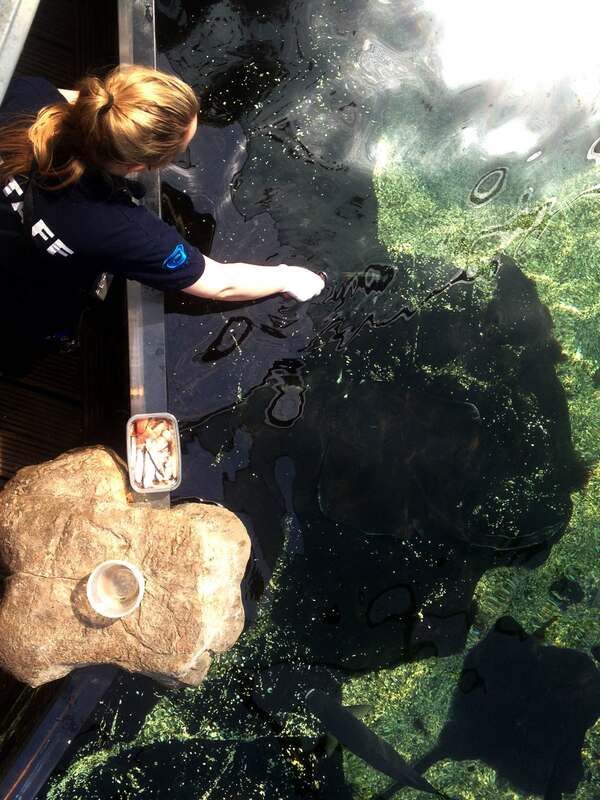 They’ll use this to paralyse prey and predator alike – yikes! Despite all of their mystical-sounding powers, octopuses aren’t immune to attack or illness. That said, if a predator does latch onto one of an octopus’s arms, it can simply eject this arm in order to escape! What’s even more amazing, though, is that the octopus can then regrow a completely new arm. This is a much easier process for young creatures, taking just a few weeks, whilst older octopuses take a longer time to heal. 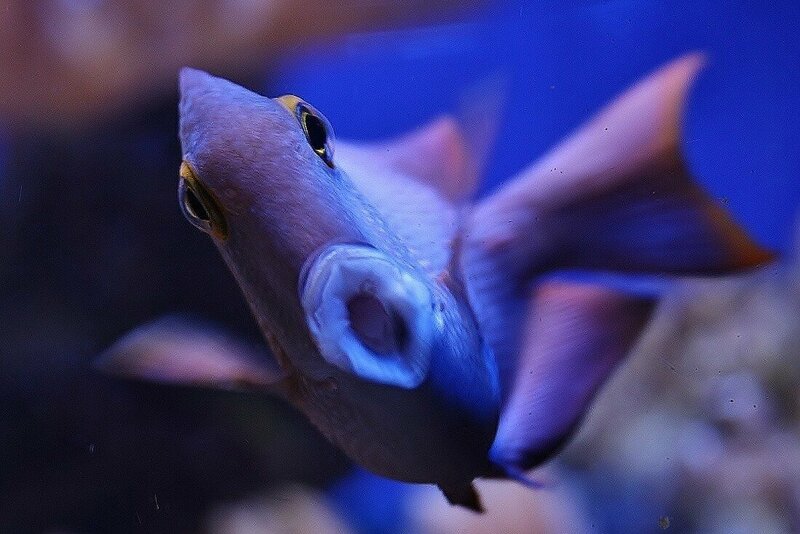 We bet we’ve piqued your curiosity about one of the ocean’s most fascinating creatures! 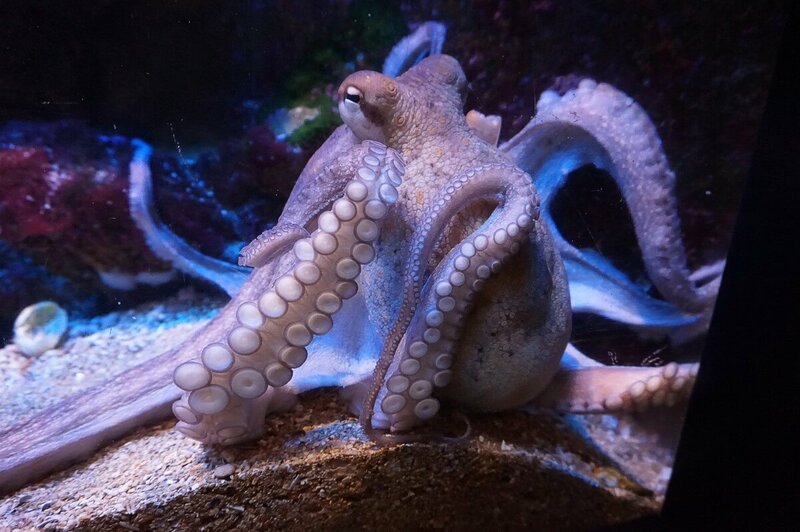 Visit us at the aquarium to say hello to our giant Pacific octopus, Luna. We have talks and feeds every day, so make sure you plan ahead so you don’t miss anything! 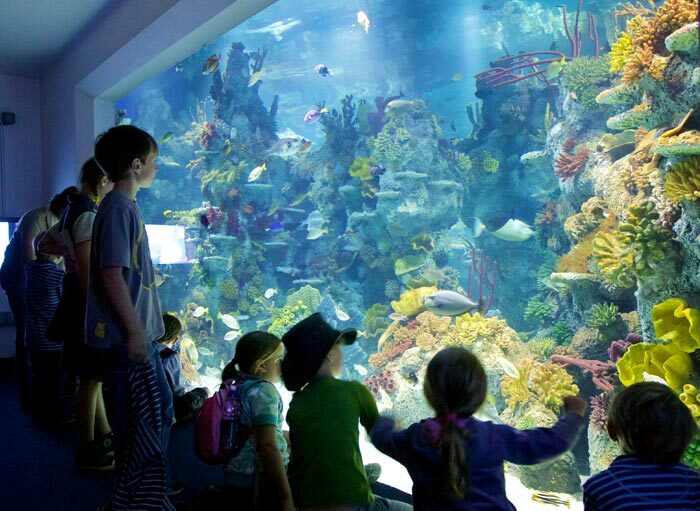 You’ll get the chance to ask our expert team of aquarists all of your questions about the ocean. We’re hosting a special Octopus Weekend on Saturday 7th and Sunday 8th October, to celebrate World Octopus Day. Come join us for plenty of fun and an exciting performance by ROCKTOPUS. See our events page for more details. Psst…Don’t forget to book your tickets in advance online to enjoy our seasonal discounts!